All-Star big man Anthony Davis created an ​awkward situation in New Orleans, openly ​requesting a trade, in the midst of his recovery from a hand injury. 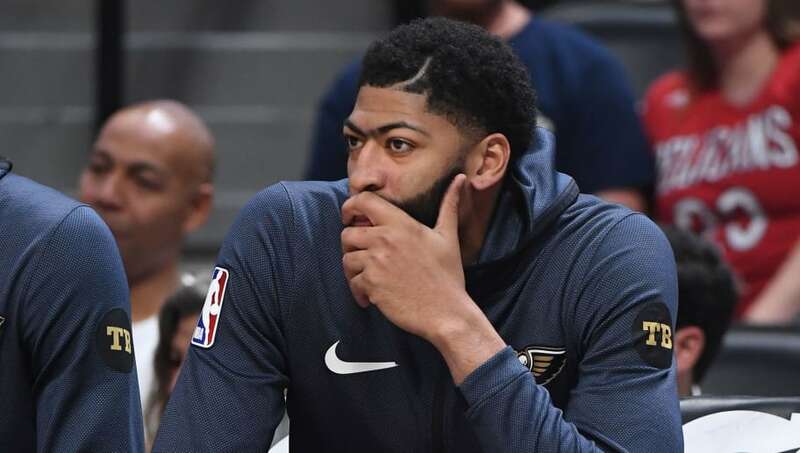 But no deals involving AD went down before the ​NBA trade deadline, meaning he remains a member of the Pelicans for the foreseeable future. Because of that, Pelicans fans and fantasy owners alike are set to be somewhat disappointed with Davis for the rest of the regular season. Davis hasn't played since Jan. 18, 2018 and missed a total of nine games so far. The Pelicans did everything they could to keep their prized asset in tact holding him out of the last two games while they sifted through trade offers from opposing teams. And you have to credit the Pelicans, as they didn't rush to any decisions and held firm in their stance of potentially getting more value this coming offseason. ​With AD set to play on Team LeBron in the NBA All-Star Game, there is bound to be some good-natured "tampering" going on. maybe the best part about the nba is barkley can joke with lebron about trading the whole bench for anthony davis and everyone laughs. and it ain't like bron is a big fan of chuck's. But starting tonight, when the ​Pelicans take on the Minnesota Timberwolves, we likely won't see Davis on the floor nearly as much, nor will he play on the back-end of back-to-back games. A reduction in minutes means a reduction in fantasy production. ​After all, if the Pelicans know they'll be trading Davis, there's not much of a pressing need to keep him on the court and risk injury. Especially, since it looks like the 24-31 Pelicans are going to be on the outside looking in during the Western Conference playoffs. Davis is currently averaging 29.3 points, 13.3 rebounds, 4.4 assists, 2.6 blocks and 1.7 steals in 37.6 minutes per game this season. All of those averages will almost definitely decrease if this report is true. Bit but if AD has any sense of pride, he'll continue to dominate and leave a lasting impression on the NOLA faithful.